----Soaring across the sky, relish the intense experience of the fast and the furious. The fluid mechanic agreeable construction reduces the effect of drag force to enable smooth and stable flights. The GPS control system allows precise positing and automatic position hold, ensuring better stability and safer flights. 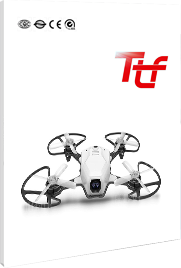 When the aerial filming drone flies over the altitude of 30 meters, aerial video drone would automatically return to home point at the same altitude and then descend vertically; while it files under the altitude of 30 meters, it would ascend to the altitude of 30 meters before returning to home point and descending. Our best aerial drone would automatically return to home when flying over the altitude of 300 meters and out of the range of 100 meters. This function is easy to control via remote control, ideal for beginners. The 1080P HD camera has great performance in capturing the details. With the real-time image and video transmission pilots can watch live feed delivered from the FPV camera directly on the screen of mobile phones. The included 7.4V 2000Mah high capacity battery provides intelligent balance charging protection and gives 15-17 minutes of running time when fully charged. The micro USB charging cable can be used for charging anytime anywhere. The six-channel remote control has a standard PPM receiver, which is responsive and effective. Ascend and Descend, Forward/ Backward/ Turn Left/ Turn Right, Left and Right Rotation, Headless Mode, Indoor Altitude Hold, Outdoor Positing, One Key Return, Auto Low Voltage Return to home, Auto signal-loss return to home.